Facilities' Design team is responsible for designing all construction, renovation and restoration projects on all of our campuses. Facilities' Construction team is responsible for building all new construction, renovation, and restoration projects on all of our campuses. Facilities' Maintenance team provides world class maintenance, repair and construction services to the Florida State University community. New Waste Management Portal - LIVE! 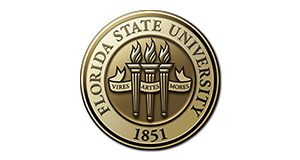 The mission of the Facilities Department is to envision, create, maintain, and manage an optimum physical environment at Florida State University. We will do this by being considerate of and concerned for our customers' needs, responsive to their requests, and good stewards of the resources that are entrusted to us. With an emphasis on quality service and sustainability, we plan, design, construct, renovate, clean and maintain university facilities and grounds. Our staff is responsible for the day-to-day operations of buildings, grounds and utilities systems. While providing 24-hour service to our students, faculty, staff and visitors, we strive to meet current and evolving needs of the university and ensure a safe, healthy and attractive environment. We're here to serve you! Need to Submit a Request? Select the appropriate request below. Click here to submit a Facilities access request to the Virtual Vault Request Center.